.........The reason for visit here is that you'll find Jules Lefebvre's famous painting "Chloe". 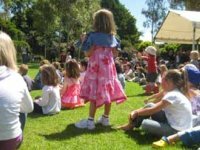 .........and the painting won awards in Europe and in Australia when it was over here on tour in 1880 in Melbourne and Sydney. ....... Click on Jules Lefebvre and scroll down for Chloe. Apparently when Young and Jackson the bar owners (who were Dublin born goldminers originally) bought this painting in 1908, custom at the bar improved dramatically! 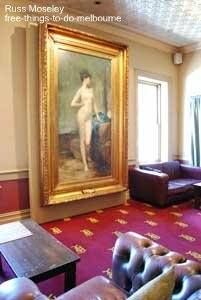 So go on, take a look at this famous painting which has had a bar named after her! 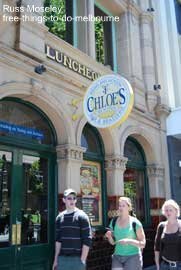 I've actually been to see Chloe a few times recently as a British friend of mine recently emigrated over here and her Melbourne born husband was well acquainted with Chloe having been a regular here in his student days so there was some reminiscing done here! He was very surprised I knew all about her! .........Have a look at the map below - click on the blue writing beneath the map for a better view.